Dad's are hard to shop for when you get older. My dad either has everything or hates everything. Hate is a strong word, I'll rephrase that, he's very particular about most aspects of his life (wonder where I get it from???) so it's hard to find him something I know he'll truly like. But now I have two dad's to celebrate on Father's Day seeing as my 14 month old probably isn't going to get her dad anything this year. From top to bottom: Stainless trout flask, once fired repurposed .50 cal bullet bottle opener, liquor decanter. 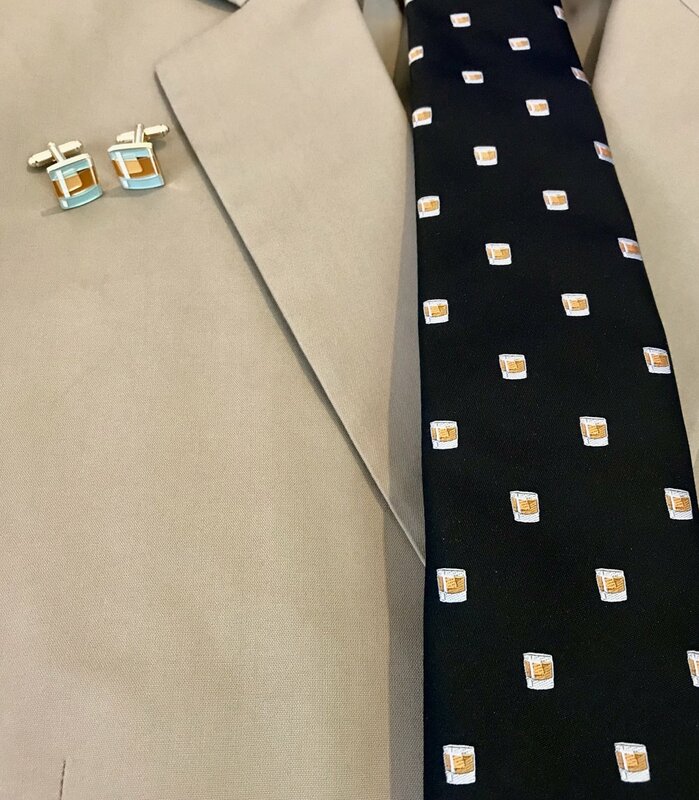 Whiskey tie and cufflinks. The tie comes in mint julep print too. 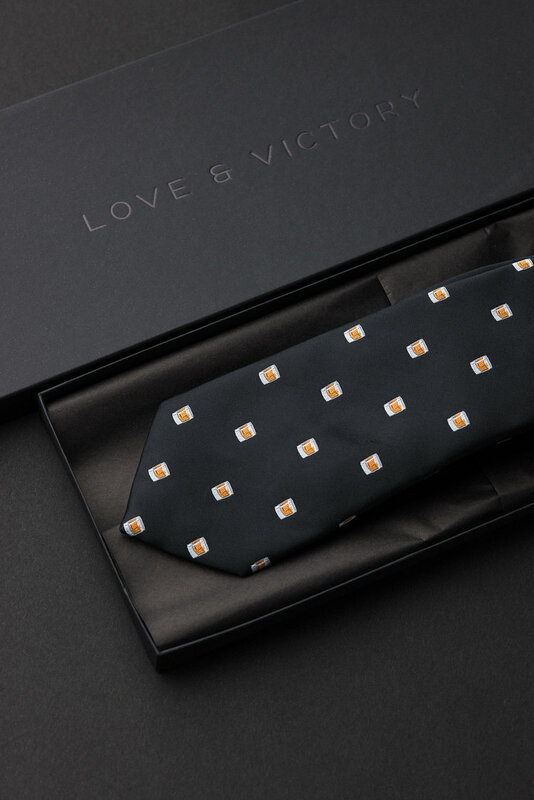 The packaging is pretty and for the man who is really more like an animal, but puts on a suit and tie for work everyday and occasions often, this is sure to be his new favorite tie in his collection! Happy Father's Day! Hope you get to celebrate with or celebrate fondly your dad and the strong male figures you've had in your life this weekend!